U.S. stocks slumped Friday after a sorely disappointing jobs report. The Dow Jones industrial average lost more than 40 points, or 0.3%. The S&P 500 fell 0.4% and the Nasdaq dropped 0.7%. All three indexes were twice as deep in the red earlier in the day. With the day's move down, the S&P 500 and Nasdaq closed out their weakest week of the year. The S&P 500 dropped 1%, while the Nasdaq lost 2%. The Dow slipped 0.1% for the week, marking its second worst performance of the year. Friday's sell-off was broad based, with about 60% of the Dow's 30 components ending in the red. Technology stocks were among the biggest losers, after a leader in the networking equipment sector warned of a weak quarter ahead. Ugly jobs report: The U.S. Labor Department's monthly report showed that the economy added only 88,000 jobs in March, the lowest monthly gain since last June and far below expectations. Economists surveyed by CNNMoney had expected a gain of 190,000 jobs. The unemployment rate slipped to 7.6%, but that was also bad news because nearly 500,000 people dropped out of the labor market. The labor force participation rate, which measures how many people are employed or looking for jobs, fell to 63.3% -- its lowest level since May 1979. The gloomy snapshot sent investors rushing toward U.S. Treasuries. The 10-year yield dropped to 1.7%, its lowest level since December 2012. Gold, which is also perceived to be a traditional safe haven, gained 1.5%. Rally gets tested: "The disappointing jobs report is a cold slap of reality in the face to many investors," said Jack Ablin, chief investment officer at BMO Private Bank, adding that stocks had run up too far considering that the global recovery, particularly business sentiment, remains on shaky ground. "The path of least resistance is higher," said Ablin. "If you look at stocks through the lens of the bond market, it's the most attractive place to be." 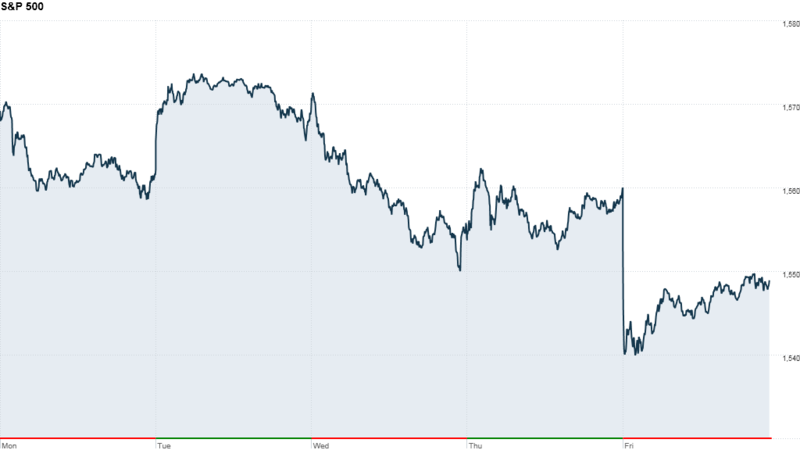 What's moving: Shares of F5 Networks (FFIV) plunged 19% after the technology company announced preliminary quarterly earnings and sales that fell well short of expectations. 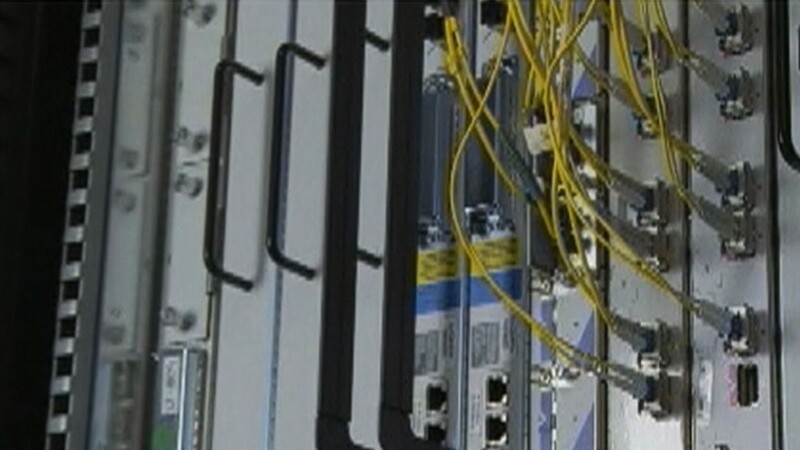 F5 competitors Cisco Systems (CSCO) and Juniper Networks (JNPR) were also under pressure. In South Korea, Samsung Electronics said its first-quarter sales and earnings would be better than forecasts. Hopes are also high for Samsung's latest Galaxy smartphone. The Galaxy S4 could present more competition to iPhone maker Apple (AAPL), which is back near its 52-week low. Asian markets ended mixed. Japan's Nikkei added 1.6% as the BoJ-induced rally continued. The Nikkei reached its highest level in nearly five years on Friday, as the Bank of Japan took aggressive action to counter persistent deflation by pumping more money into the economy. Hong Kong's Hang Seng tumbled 2.7%. Shanghai's market was closed for a holiday.